Book review. UX for Lean Startups. Laura Klein. ...and it is well worth reading! Unlike most (all) other books from the big land in the West that are always a few years ahead of us in IT there is no mention of God or Alice in Wonderland. Instead we get the Wizard of Oz testing and some spicy language full of irony and quite a lot of beeing fed up with designers not adhering to the principles in the book. The principles are fairly easy to understand, applying them may be harder. While reading this quite amusing book I feeel like am nodding in agreement all the time. Things seem so obvious. Understand the users and their problems, it is just like the core ideas of effect mapping (nowadays also nows as impact mapping). How come we still do it wrong most of the time? Have the great agile idea of NOT writing a complete requirement specification in the beginning of the project - passing it of as the TRUTH and only relectantly chaninging it - eluded the requirements movement? I feel I am getting as upset as Laura in her book. Of course we should try things out before we build them, and don´t believe we get things right the first time, or the second...design continues even after the first version is shipped. 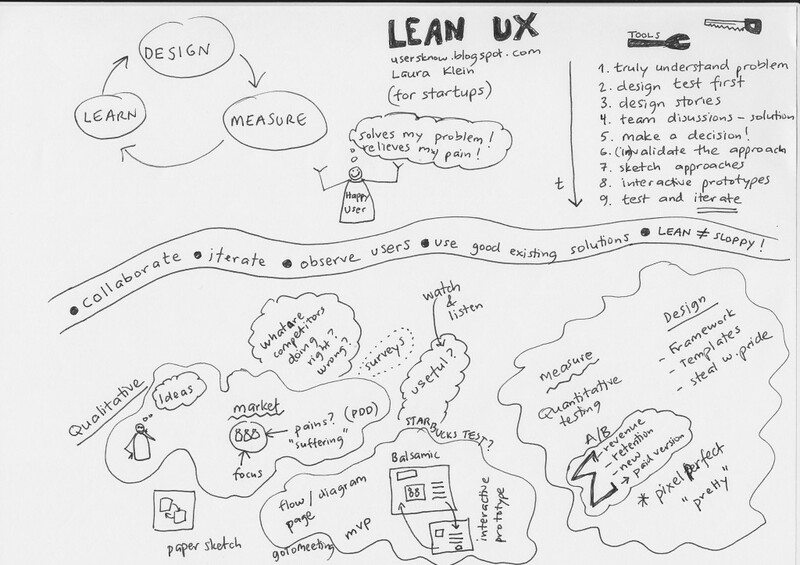 This is a great read - not only for startups but for everyone building IT-systems.I have distilled what I found most interesting in the sketchnote below. So now I am going to get a licence for Balsamic and create some interactive prototypes - simple because it needs to be done and few are doing it. If you want to read more from Laura try her blog. 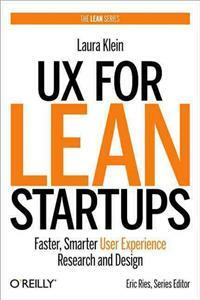 Next read is a book with a similar but shorter title - Lean UX.